The unique contemporary flair of the Ellenton Television Stand features a rich espresso finish over sturdy blended woods beautifully enhancing the stylishly shaped drawer fronts to create the perfect accent for any living room décor. 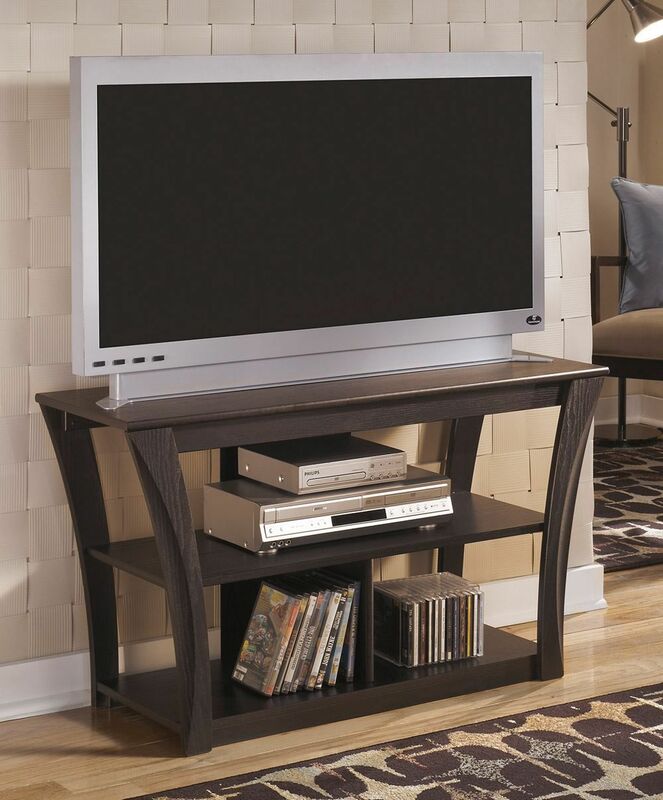 You will love the modern flare that this tv stand will bring to your home. The curved legs and two storage shelves allow for the perfect place to store your dvd player and all of your favorite movies. Add this modern piece to your living room today and accent the contemporary charm of your living space. Add the modern Ellenton Television Stand to your to your living room today and accent the contemporary charm of your living space. Deep espresso finish over replicated oak grain.